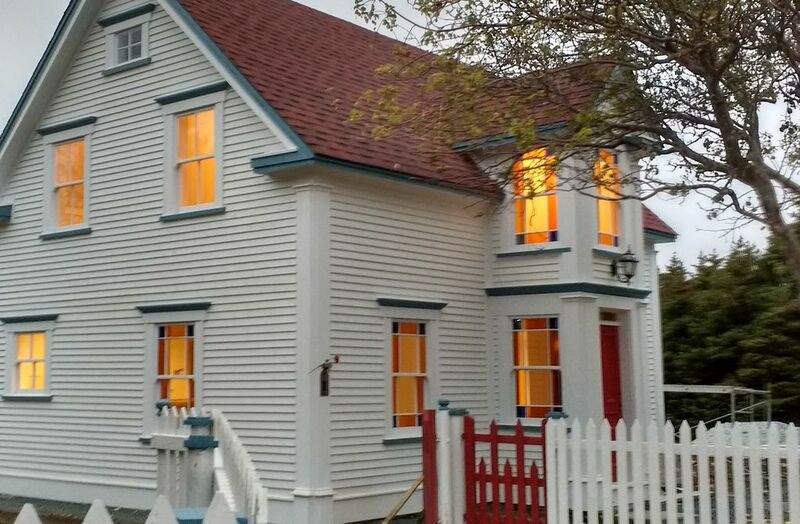 "THE BUTLER HOUSE" is located in the beautiful sea side town of Cupids, Newfoundland, Canada. The town of Cupids is the first English colony in Canada, settled in 1610 by British explorer and fishing merchant John Guy. The original 1610 settlement plantation and archeological dig site are a few minutes walk from the Butler House. The Cupids Legacy Centre is next door and houses many archeological finds and illustrates the history of Cupids since it's settlement in 1610! Wilderness, whales, hiking trails, restaurants, the Cupids Legacy Centre, and a world-class Shakespearian outdoor theatre, shore line Cupids harbour. The historic town of Brigus is only a 5 minute drive, or you can hike there over the Cupids hills in about 25 minutes. For the more adventurous, peddle your bike over the scenic trails and old railway beds around Cupids. Take the conception bay highway to visit several small fishing villages within a casual morning drive from Butler House; such as Conception Harbour, Port de Grave, Spaniards Bay, Heart's Delight, Hearts Content , etc. The Butler House vacation rental is truly a magical place with plenty of history, warmth, and soul. There is a games table in living room, next to fireplace. Games include; checkers, cribbage board, and deck of 52 playing cards. Several books on Newfoundland history, etc. We keep coming back to this great spot! As always, a pleasure to host you. Thanks again for another great weekend at Butler house! A beautiful house situated in one of the most historic parts of the province. My wife, I and our two girls enjoyed staying here very much. Ron was more than helpful, and the house was equipped with everything we could need. Highly recommend staying here. Well cared for and clean with updated everything. Very comfortable and inviting. Great response time from host. We really enjoyed Butler house..it’s a beautiful historic home, lovingly restored. It was comfortable and bright and came with everything we needed. The nearby hiking trails are spectacular.